The Gloster Meteor was the first British jet fighter and the Allies' first operational jet aircraft. 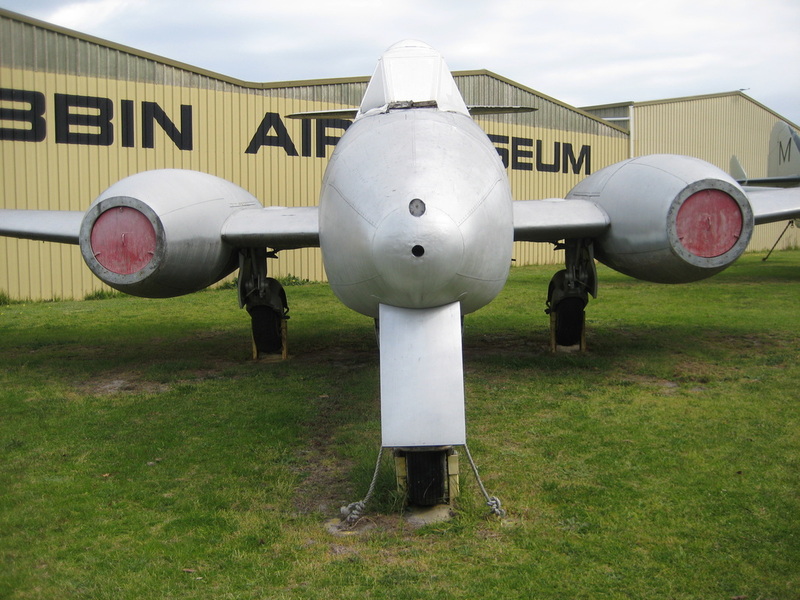 The Meteor's development was heavily reliant on its ground-breaking turbojet engines, developed by Sir Frank Whittle and his company, Power Jets Ltd. Development of the aircraft began in 1940, but work on the engines had started in 1936. The Meteor first flew in 1943 and commenced operations on 27 July 1944 with 616 Squadron of the RAF. Nicknamed by pilots the "Meatbox", although the Meteor was not an aerodynamically advanced aircraft, it proved to be a successful and effective combat fighter. Several major variants of the Meteor were made to incorporate technological advances during the 1940s and 1950s. Thousands of Meteors were built to serve in the RAF and other air forces, and remained in use for several decades. 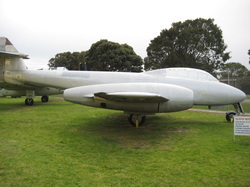 The Meteor saw limited action in the Second World War, while Meteors of the RAAF provided a significant contribution to the Korean War and several other operators such as Argentina, Egypt and Israel also flew Meteors in regional conflicts. Specialised variants of the Meteor would also be developed to perform in the photo-reconnaissance and night fighter roles. The two-seat trainer variant of the F.4 was the T7 and the company prototype first flew 19 March 1948.